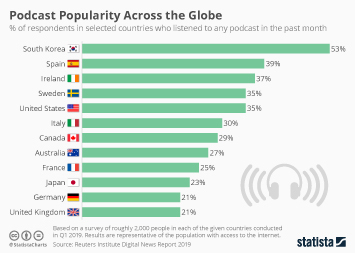 Loyal podcast listeners will stomach a few more advertisements to support their favorite show, a study by Westwood One found. 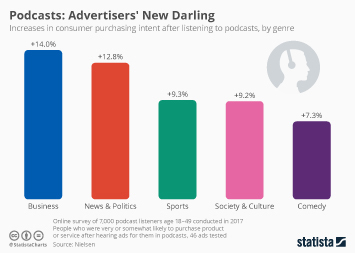 Advertisers have successfully incorporated their products into podcast programming, yet podcasts’ ability to translate that willingness by listeners into substantial revenue still lies further down the road for the medium. 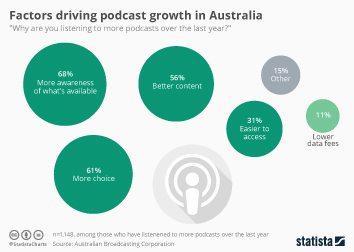 In fact, about half of the respondents found most of the ads on their podcasts engaging, enjoyable and relevant. 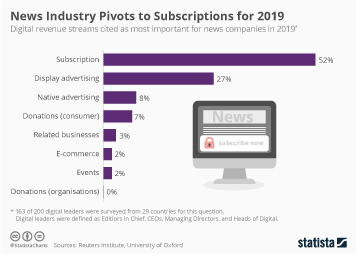 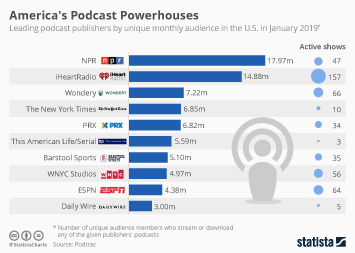 The favorable ad experience and seamless incorporation advertisers have managed to achieve on people’s favorite podcasts lead about half of the respondents to go out of their way to support brands that advertise on these programs. 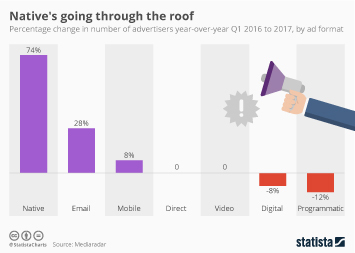 While podcast listeners are willing to sit through advertisements, podcasts have not been able to make significant revenue from advertising on podcasts, despite the audience that the medium draws. 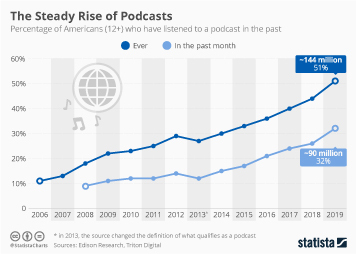 A study published by Edison Research estimates that 73 million people tune in monthly to podcasts, putting it on par with streaming music listeners. 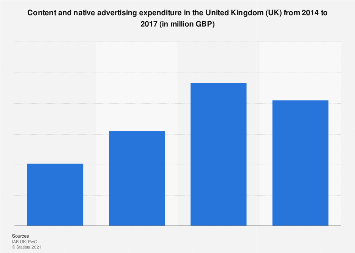 While a similar number of people listen to podcasts and stream music, PwC estimates that podcasts made about $400 million in 2018 from ads, while ad-based streaming music made well over a billion dollars. 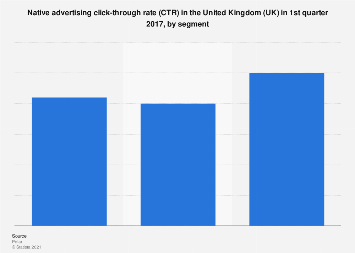 As podcasts find their footing and leaders in the industry turn to monetization, advertising on podcasts will grow in the future. 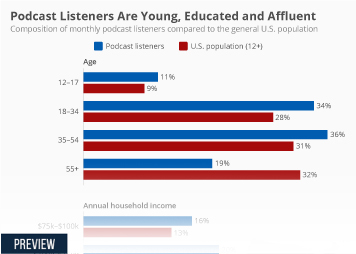 This chart shows the attitudes towards ads among podcast listeners in the United States.